A range of own label animal feeds. These products are sold primarily from wholesale farming outlets as well as direct from the mill. The basic range need to be bold and simple with clear communication of the product content and the animals the feed was design for. 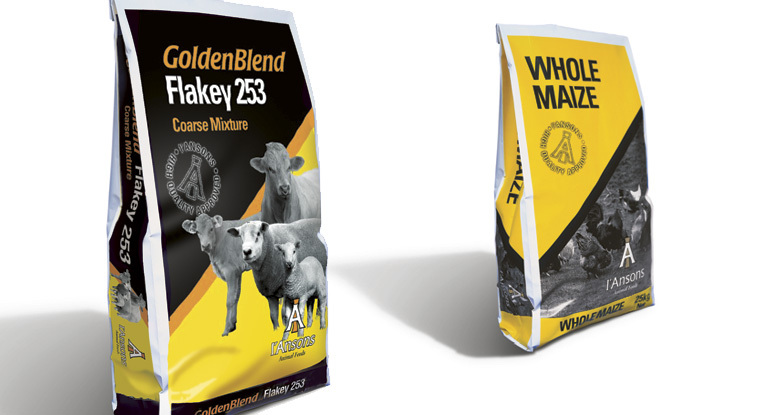 The second range 'Goldendblend' is a premium livestock feed. It was designed to be part of the I'Anson's quality feed family but with a more premium appearance.